All glass entrances are one of our specialities. We can help you design special size doors with custom hardware. 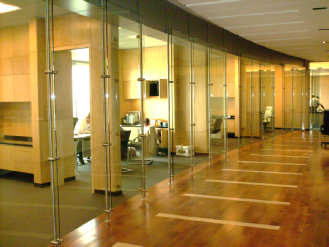 We also provide all types of glass walls with or without visible frames. 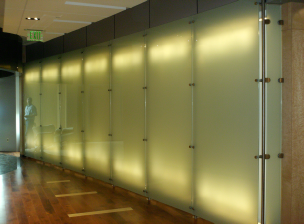 We can supply decorative glass, sandblasted glass, and filmed glass.